Alex Oxlade-Chamberlain is expected to make his return for Liverpool before the end of this season having recuperated from a serious knee injury faster than initially expected. The impact that he has on the team has now been revealed: according to Squawka, the Reds won 71.4% of matches when he was playing last season, compared to just 47.6% when he was missing from the team. It will be really important not to expect too much from him too soon given how long he has been out, but having Oxlade-Chamberlain back in the side will be a huge boost. The Reds have not been doing too badly in his absence, but having him back will make the team even better. Even if he can only come off the bench in the last few weeks of the season, he would be a great option to have in reserve. 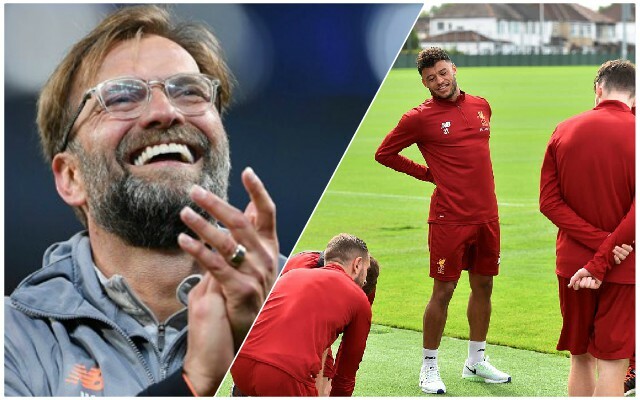 Jurgen Klopp really likes having Oxlade-Chamberlain available to select, and he could have a big impact on the title race and the Champions League – he will genuinely be like a new signing. It will also be interesting to see where Oxlade-Chamberlain fits into the team now Klopp favours a 4-2-3-1 formation, particularly against lesser opponents at Anfield – no doubt the boss will have a plan.